No Eichler home looks more like a design by Frank Lloyd Wright than this one builder Joe Eichler had Anshen and Allen design for himself and his family. The Eichlers lived there till 1965, and just one other family has lived there since. The rustic, warm, tree-shaded home, which suggests the Bazett House, the Wright home in Hillsborough where Joe had previously lived—the one that inspired him to become a builder—has clearly been well loved. It remains almost entirely intact and is built around a large yard with a pool. But no relatively compact home on a large lot in wealthy Atherton is safe from demolition when it changes hands. The home has no official historic designation, though it would clearly qualify for both national and state recognition because of its architectural quality and association with master architects and an important home developer. Another custom Eichler home from 1951, just across the street from this one, came down two years ago shortly after it was sold. While placing a home on the National Register of Historic Places or State Register of Historical Resources does not guarantee preservation, such placement means that planners must consider the building's cultural value before allowing demolition. San Jose preservationists and lovers of modern cinemas fought hard to preserve at least one of the domed theaters that made up this four-dome complex—and sort of succeeded. But San Jose will no longer have a flying saucer-like theater. Instead, one of the domed theaters will be preserved and incorporated into the planned Santana West Tech Campus. In 2014, the commission found the theater eligible for listing on the National Register and gave it official state designation as well. 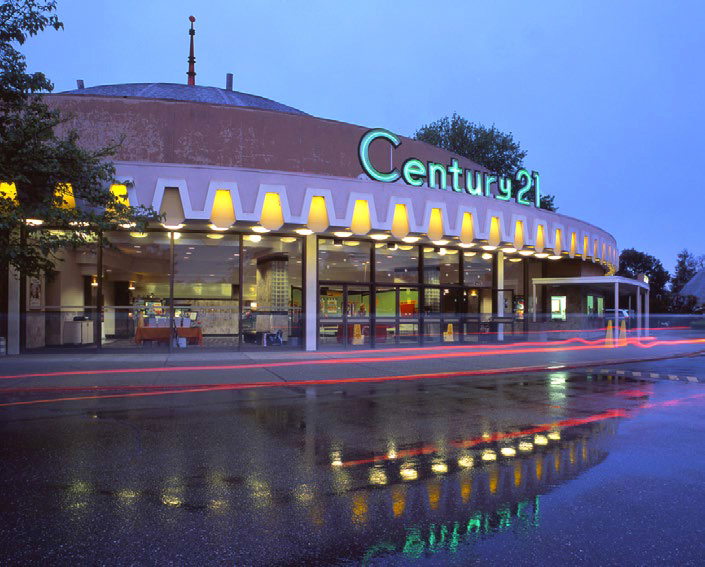 The Century 21 Dome was the only one of the domed theaters that had retained its looks by 2014. It opened in 1964 to show large-format Cinerama films. "The domes, which evoke notions of a spaceship, were emblematic of an era that has vanished, of optimism in the future, looking ahead to the 21st century and the space age with joy and anticipation," wrote author Therese Poletti, who argued for preservation. In recent years, domed theaters have been coming down throughout the Bay Area, including two others in San Jose and one in Pleasant Hill. As Pebble Beach homes go, the Connell House by the pioneering modern architect Neutra is simple. Simplicity is a virtue for modernist structures. The home has another virtue—a view of the Pacific. That's the virtue the home's owner, a Silicon Valley exec, hopes to play up, while replacing the 3,300-square-foot home with something quadrupling in size. The battle to preserve this 1958 home began a decade ago. The Alliance of Monterey Area Preservationists has sunk untold hours into saving it because of its architectural virtues. Their arguments have been judged worthy, including by state and federal officials who found the building eligible for the National Register of Historic Resources and placed it on the state's Register. It has not been placed on the National Register, however, because approval by a private owner is required. Still, when the owner sought a demolition permit, she was required to do an environmental report because the building was deemed significant. The report said preservation of the building was the best alternative. County planners will consider the issue soon. 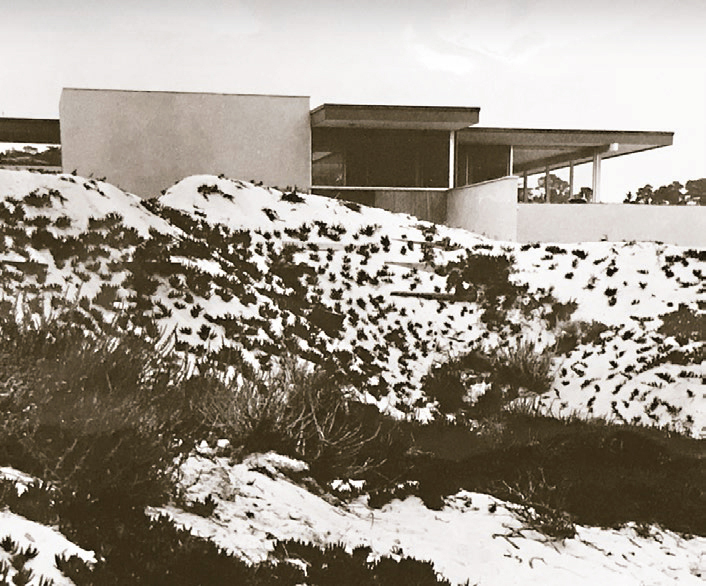 Architectural historians Barbara Lamprecht and Anthony Kirk, who wrote the register nomination, said of the house that it "is still a prescient work of architecture that demonstrates Neutra's convictions and establishes a template for contemporary and future architects in how to design with the land."